M151 Parts Kit Transfer Intermediate Gear. These are NOS governments kits. 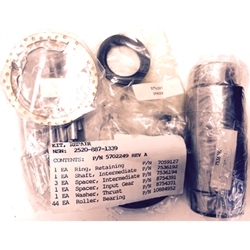 The kit includes spacers, 1 thrust washer, shaft, needle rollers and snap ring. See photo for list too. Fits all Mutts.